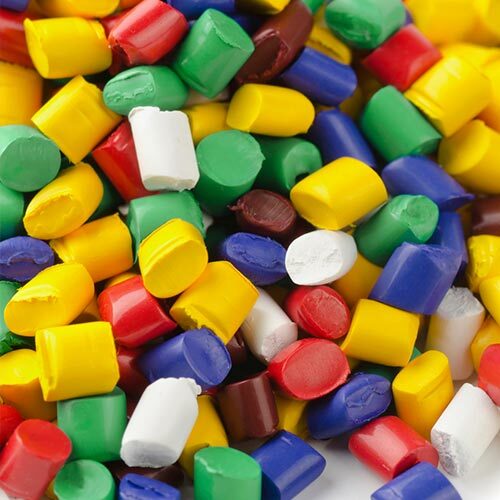 Neko Colors color masterbatches are designed to meet current trends, appearances and consumers’ demands for a wide variety of plastic products across various markets, industries and applications. Our color masterbatches range from bright primary tones, to pale pastels and specialty effects. Whether used for an injection moulded toy, a blow moulded shampoo bottle, or a consumer shopping bag — Neko Colors can design and manufacture a color concentrate for virtually any thermoplastic application. Colors can be formulated to meet specific regulatory condition such as: Heavy Metal Free (CONEG), HBP, FDA, EN-71 and others. Let-down ratios (dosing) can range from 200:1 to 10:1, depending on the particular color and application.